One of those things to do in Hanoi is to find suitable souvenirs to take back home, down here is list of Hanoi oldest shop that you may want to fill up your luggage with their products. This is known as Hanoi oldest embroidery shop that produced embroidered goods. From pillow cases, clothes, linens, table cloths and pyjamas, you’ll find everything you need to outfit you and your home. Celebrated for three generations for its high-quality work, Tan My is a familiar place of the local for beautiful hand-embroidered fabrics. Grow out of the very difficult years of war in Vietnam with handkerchiefs which were embroidered messages from loved ones for soldiers to carry with them throughout the war. All of Tan My product is manually made with highly skilled. Tan My has specific team who work exclusively for them to ensure that the highest, elaboration quality will be maintained. 66 Hang Gai strt, Hoan Kiem dist, Hanoi Old Quarter. The price of Tan My designed products may be high but I don’t think it could be a problem with such elaboration embroidered goods that they provide. Otherwise many fake stores have intimated Tan My product but theirs could never compare to the real authentic one, please notice and be a wise customer. Tan My Embroidery has been passed to the 3rd generation. 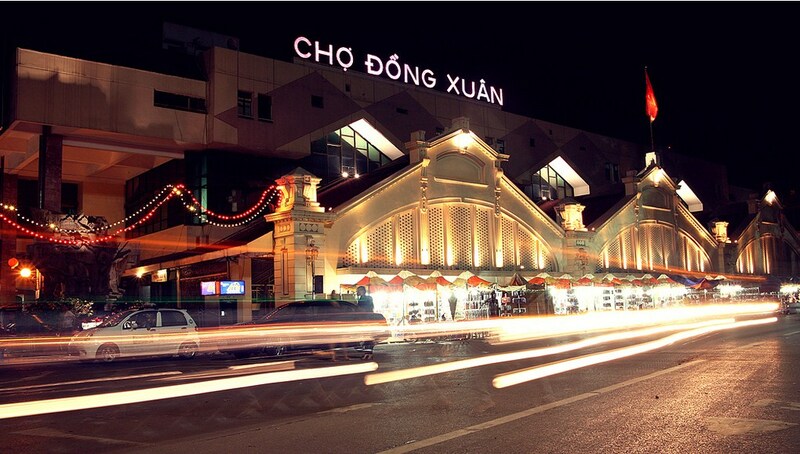 The oldes market in Hanoi, the street it located was named under the name of this famous market. In the old time, this was one of the most crowded market that everything could be found in this place, yet it’s still busy now a day but this is regarded as the market for bulker only. It was built under the French colonel with a very French architecture. In 1994 Dong Xuan market got into the worst conflagration that ever occurred in Hanoi so far, then it was rebuilt as what you’ve seen today. With 3 floor sell everything that could be sold, but the quality is never be the same as the old glory day, I recommend this as a place to visit not to buy goods, because you could probably receive a “tourist price” only if you go with awell-experienced locals, then it’s ok. Note: Watch your luggage, don’t bring along precious and important things. As I’ve probably recommended this place in my earlier post: What to do in Hanoi Part 3: Hanoi eating, they make real good Hanoi an Pho that hardly anywhere could compare or imitate its flavor. 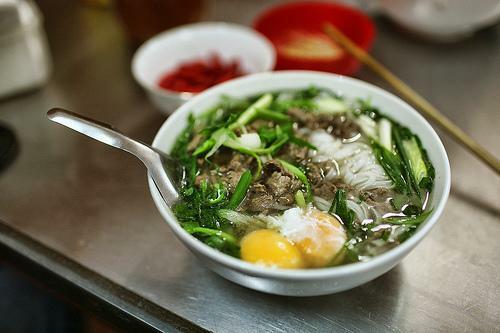 The soup with its very own flavor along with nicely cooked beef will certainly wake all your taste buds, this is the reason why you have to queue up to get just a bowl of Pho. Pho Hang Chieu is fully filled with customers everyday even the way it’s served is inconvenient. They usually out of Pho at 8am so please come early. Not only in the morning, but also at night this small shop is still crowded, they have to put extra plastic tables in the pavement to serve all Pho-eaters. The price of one bowl is 40 000 dong, more expensive than others shop but still very reasonable for such a good bowl of Pho. 57 Hang Chieu strt, Hoan Kiem dist, Hanoi Old Quarter. If you search “Hanoi Oldest coffee shop”, the result come out would probably is Lam Coffee in Nguyen Huu Huan strt, but if you looking for roasted coffee to buy back home this is so not the place. 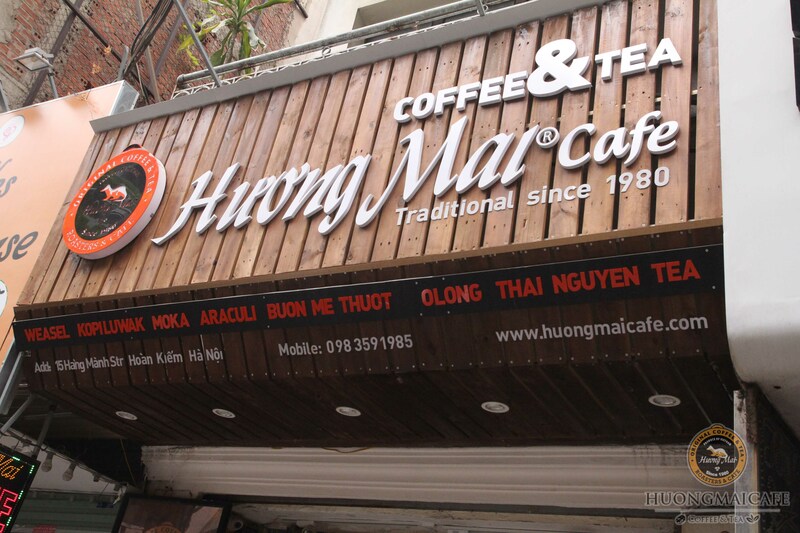 The oldest coffee roaster in Hanoi belonged to Mrs. Huong Mai, who is the founder of Huongmai Café. Huongmai café originally located in Hang Buom street, where is also her house. Mrs. Huong Mai only roasted coffee in small amount just enough to sell for the locals but it doesn’t mean that her reputation couldn’t spread out all over the place. Following Mrs. Huong Mai roasting method, her son developed her small shop into a protected monopoly brand. After 3 decades, Huongmai Café has never failed to please any choosey customer. 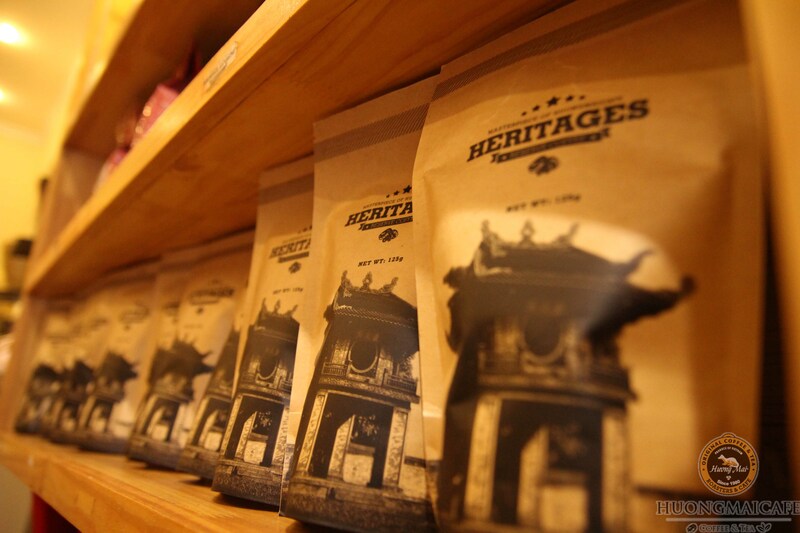 With its famous Weasel Legend Coffee and many other type of Vietnamese coffee like Traditional Vietnamese Coffee for example, this brand is loved not only by the locals but also the tourist who have a chance to try Huongmai coffee. Along with coffee, Huongmai café also offer Vietnamese tea like Jasmine, Snow Shan (tea that was produced in the highland of Vietnam and also looked like it was mixed with snow), Oolong, Lotus Green Tea … With 3 official locations, you will find a truly taste of Vietnamese famous beverage, carefully, freshly and daily packed. Don’t bother asking question, have a free test cup of any type of coffee right at the bar, we will make sure that your experience in our shops is one of your travelling highlight. With the slogan “Better than the Best”, Huongmai Café will bring to you the truest taste of the delicious Vietnamese coffee. Huongmai cafe 15 Hang Manh strt, Hoan Kiem dist, Hanoi Old Quarter.